Merry Christmas everybody! Though I know my greeting comes way in advance, I'd like to share with you twelve prettifying ways to look festive this Christmas Chilling Season! I hope you like the first look I'm sharing. It's a very nice Frosted Look for day make-up inspired by the really cold evenings of this season... it feels like Christmas everyday! 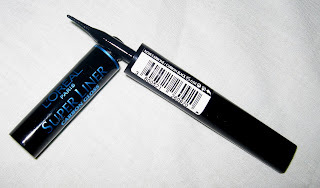 Don't forget to read up on my three P's of liquid eyeliner at the bottom of this post! If you want to learn how to use liquid liners, I aim to help! Very natural Frosted Day make-up. Happy holidays! 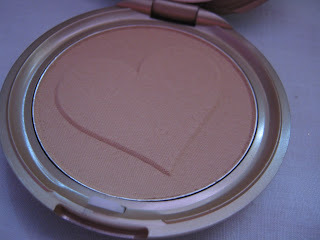 I love using Mineral Make-up as my make-up base. I recommend Mineral Make-up. They're kinder to the skin. 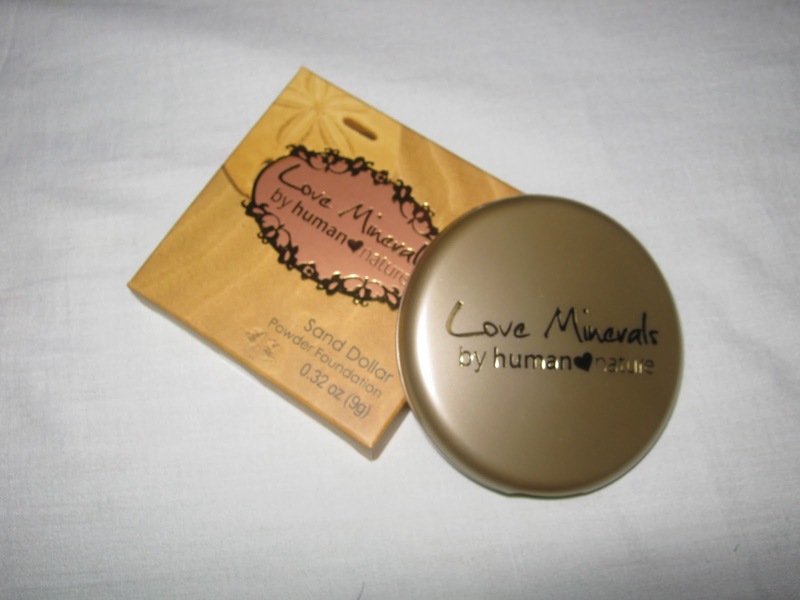 But I still use non-mineral cosmetics because... well, I don't discriminate! Long as you cleanse your face thoroughly at night, and care for your skin day in and out, I'm sure healthy skin isn't a fairy tale. :) Be daring! Well will you look at that. A very Chummy Mineral Foundation! LOVE the <3 design! When doing frosted make-up, it is best to stick to one shade of eye shadow, especially for day make-up. It would add a simple glow on your eyes, making them pop beautifully. 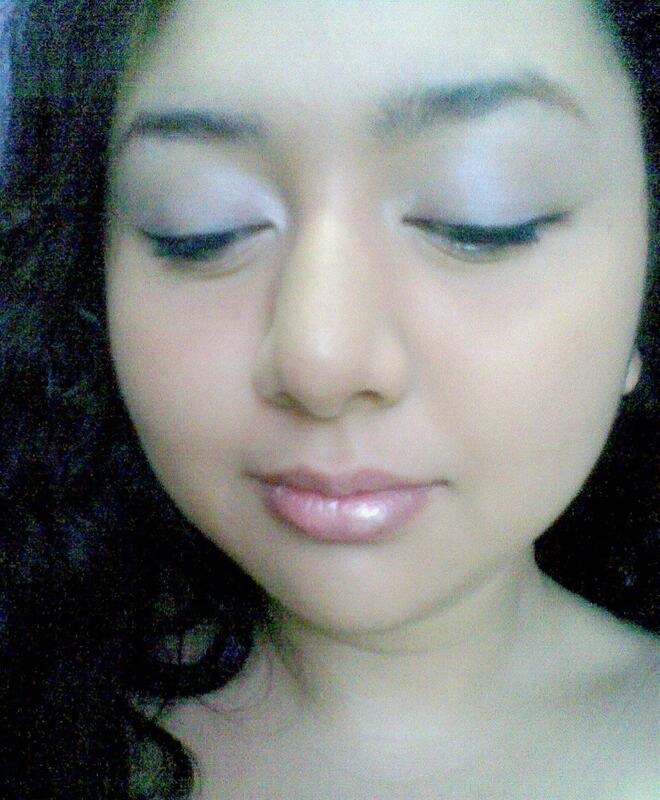 Using Luminare Ice Blue multi-purpose eyeshadow. 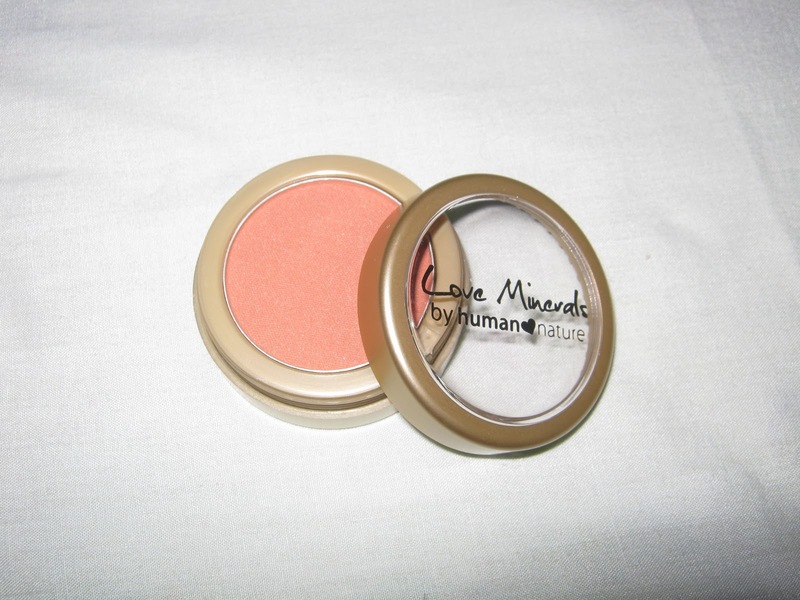 Human Heart Nature's Mineral Blush Powder in Tropical Rose. REALLY PRETTY! Check out the swatch below. For the lips, I skipped the lipstick and opted to use lip gloss instead. Used Nyx Pink Frost lip gloss, which is pretty tricky to apply because of its frosted formulation but results to a really nice frosted pink lippies. I used Human Heart Nature's watermelon lip balm to add a slight hint of pink on my lips before the gloss. It served as my lip conditioner. Read more on lip conditioners here. 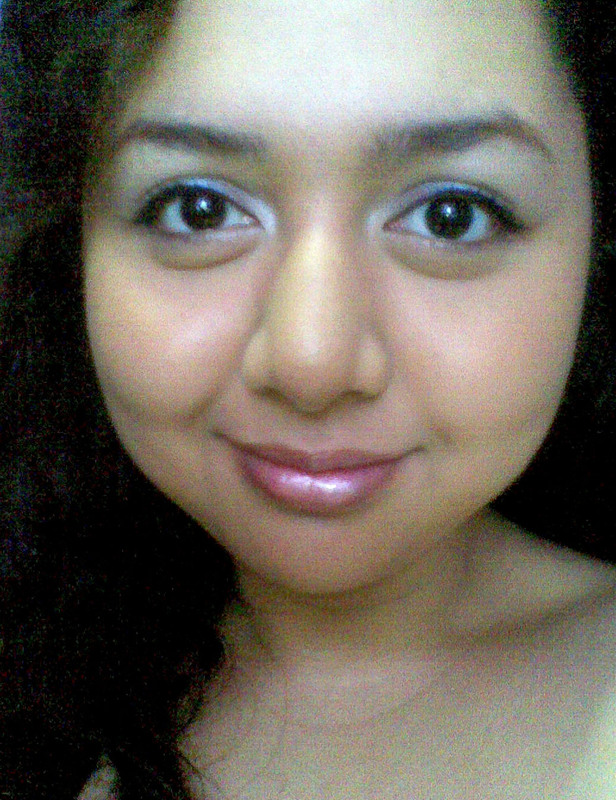 After applying blush, I thought of applying heavy eyeliner on my eyes to emphasize the shimmer. I used L'oreal Liquid eyeliner. 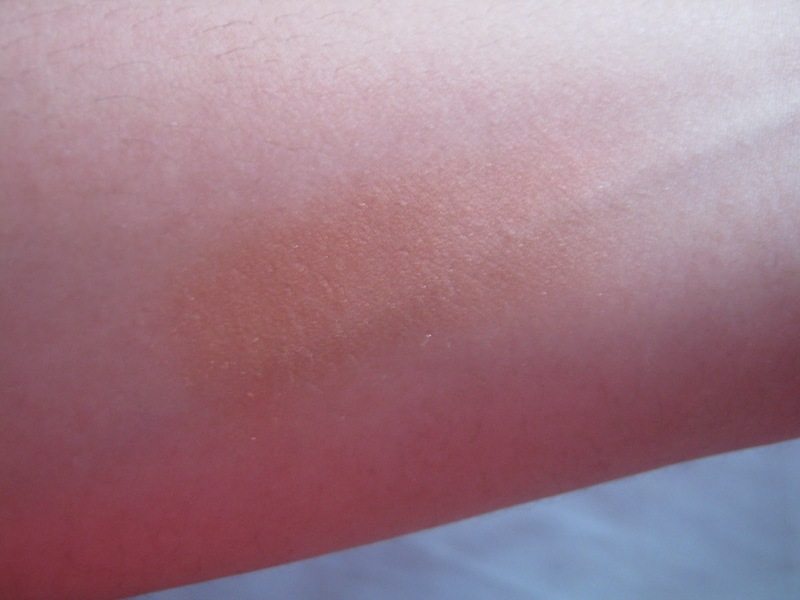 The applicator's so unique and is so easy to use! Even novice liquid liner users can benefit from it. Here's my three P's of using liquid eyeliner: Precision, Patience, Practice. Precision is important when using liquid eyeliner because compared to pencil or gel, liquid liners when applied results to strong color, be it black, brown, blue, etc. The slightest mistake, the slightest millimeter of a mistake can affect the outcome of your eye make-up that's why precision is important. Stay closest to your natural lash line. Apply light feather strokes. Patience is important to achieve precision, ESPECIALLY when you're a newbie when it comes to using liquid eyeliners. To achieve the look that you want, your strokes should be gentle. Don't be in a hurry. Remember, haste makes waste. More holiday looks coming your way! Comment please. Please add me on Facebook and follow on Twitter! Thank you! Gorgeous pics!! Love that lip gloss...Nice blog honey. Welcome to our potluck week 10, a poetry award is assigned upon submission. Old poems are welcome …hurry up, you have 11 hours to go before we are closed.